What’s all the buzz about salt-water pools? 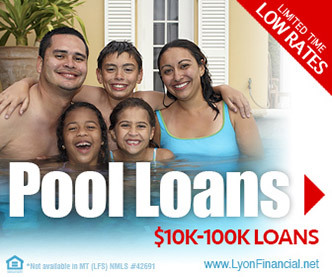 An increasing number of homeowners are opting for this non-traditional type of pool. Of course, many love that they use salt rather than chlorine to sanitize the water. 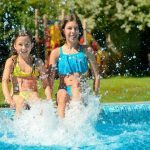 But before you jump in and make a commitment to having a salt-water pool installed, you want to make sure you understand exactly what you might be getting. You may be surprised at how salt-water pools work. Essentially, those who have reactions from chlorine exposure prefer salt-water pools. But otherwise, the methods used to sanitize salt-water pools are surprisingly quite similar to those methods used in chlorinated pools. Regardless of their nod to oceanic salt water, salt-water pools are really quite different from ocean water. First, the salt’s role is very different. The concentration of salt in a salt-water pool is far less than that of ocean water. 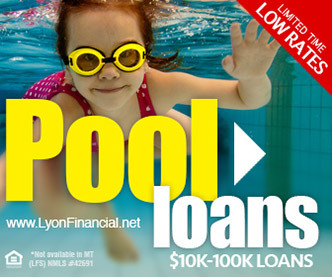 Contrary to popular belief, the salt doesn’t serve to offer added buoyancy nor to disinfect the pool. Basically, its purpose is to provide a source of convertible chlorine. In a salt-water pool, the salt (NaCl) passes through a unit that contains two slightly charged titanium plates. Due to the resulting electrolysis, the salt breaks down and forms the hypochlorous acid — the very same chemical used to disinfect traditional chlorinated pools. As the salt continually dissolves into the water, a continuous supply of chlorine continues to flow into the water, allowing for continual disinfection to take place. 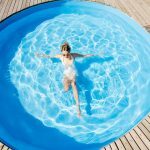 Yes, just like traditional swimming pools, salt-water pools rely on the very same chemical — chlorine — in order to perform the necessary task of neutralizing contaminants and killing germs. So by now, you’re probably wondering how the systems differ, at all. 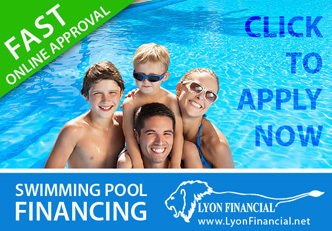 In a traditional chlorine swimming pool, chlorine levels tend to fall. (The reason for that is typically human negligence: failure to regularly test or maintain the pool by adding sufficient amounts of added chlorine.) 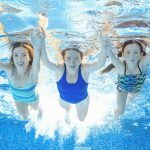 In an under-chlorinated pool, the chlorine can break down into chloramines when it comes into contact with ammonia (which is a chemical found in both urine and sweat); as a result, the pool’s contaminants (not the chlorine itself!) end up causing reactions such as skin irritation and eye itchiness and redness. Some people even suffer from lung irritation, experiencing asthma-like symptoms. When you smell that odor associated with chlorine, the issue is actually not enough chlorine, rather than too much. By contrast, a salt-water pool resists the buildup of chloramines, since the levels of chlorine are constantly replenished without the need for maintenance in the way of adding chlorine. 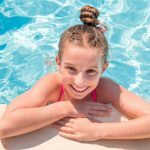 While salt-water pools may well reduce or eliminate reactions often associated with chlorinated pools, they aren’t free from chemicals nor are they an “all-natural” alternative to chlorine. The continual flow of chlorine just ends up steadily disinfecting the water.